According to this research, "average" is probably best. The Greek physician Hippocrates argued that four bodily “humors” shaped human behavior, which, in turn, resulted in four fundamental personality types. Today, people put more faith in Myers-Briggs tests and BuzzFeed quizzes than the formative power of their phlegm, but the fascination with personality types remains. The issue is that scientists remain undecided on whether there are personality types at all. However, in a study released Monday in Nature Human Behaviour, a team of researchers from Northwestern University announced there was some truth to old Hippocrates’ theory. As it turns out, he was right about the number of personality types that exist among humans. This finding, which shocked the study’s authors, emerged from four large data sets comprising more than 1.5 million participants. Co-author and psychology professor William Revelle, Ph.D., says that before this study he was convinced there were no personality types at all. 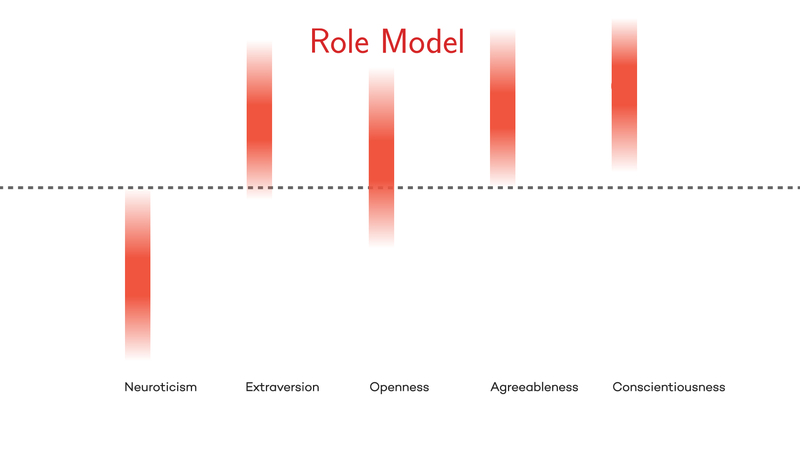 Now he’s convinced that personalities fall into four distinct clusters that still aren’t completely separable: types the team refers to as average, “role model,” reserved, and self-centered. 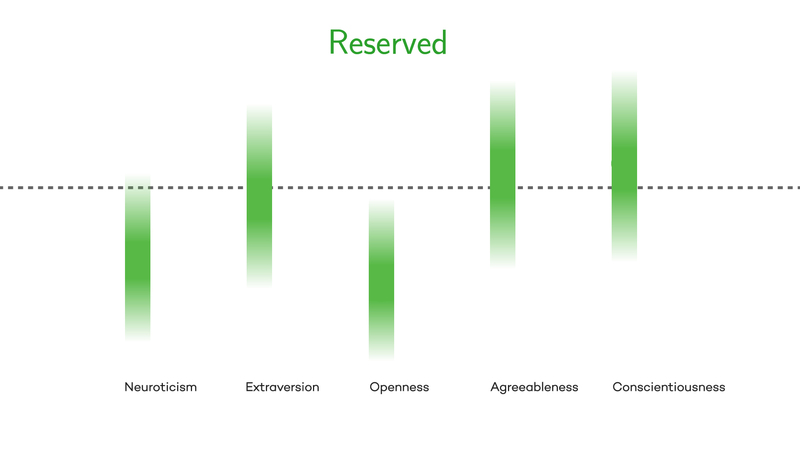 Using a standard clustering algorithm, the team searched these massive data sets and, on a quadrant graph, plotted out how the individuals in the four data sets manifested five widely accepted basic personality traits: neuroticism, extraversion, openness, agreeableness, and conscientiousness. 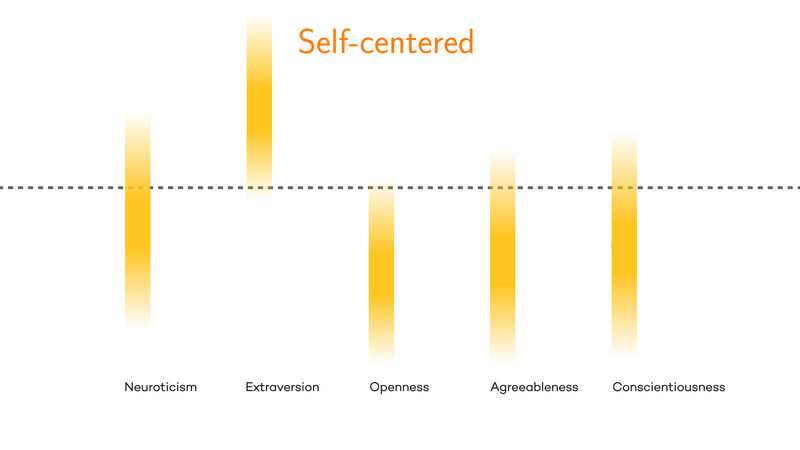 While previous studies raised questions about the validity of personality types, researchers generally agree that these traits, known as the Big Five, are reliable and replicable domains of human personality. Plotting the ways that people manifested combinations of the traits caused four major types to emerge. The “average” type is called average for a reason. Study co-author and professor of chemical and biological engineering Luís Amaral, Ph.D., says in an accompanying video that “there is very little to say about average,” and so it’s not surprising that most people fit into this cluster. While still scoring a bit higher in terms of neuroticism and extroversion than in agreeableness and conscientiousness, average people, fittingly, are characterized by an average score in all traits. There are slightly more women who are “average” than there are men. Traits for a "role model." Descriptive traits for the "self-centered." Teen boys, the study authors write, are very over-represented in the self-centered groups, whereas women under the age of 15 are “vastly underrepresented.” Women over the age of 60 also didn’t really register as self-centered, with this group “showing a more than five-fold decrease in appearing in the vicinity of this cluster.” The folks that are self-centered are described as not hard-working, disagreeable, not open-minded, and extraverts.